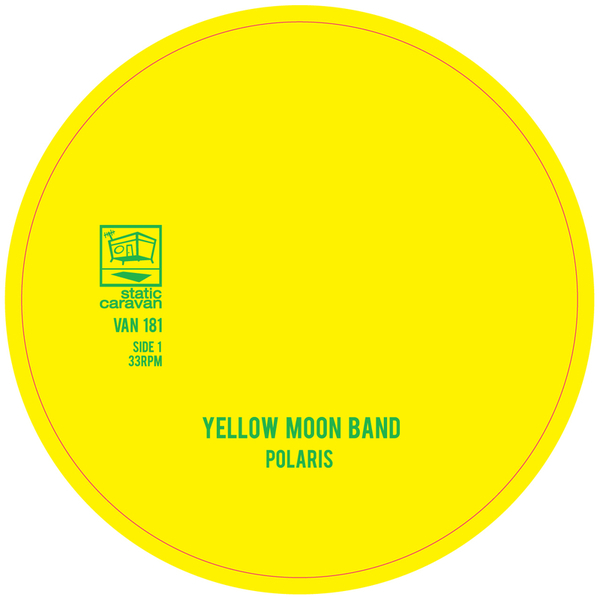 Psychedelic outfit The Yellow Moon Band let themselves in for some highly developed remix treatments from two endearingly twisted minds. The Time & Space Machine remix comes courtesy of Richard Norris, delivering a nu-agey slice of psychedelia, but the flipside, however, is the absolute showstopper with some incredible re-wired tracks from John Twells aka Xela. His 'Muddled and Spiked' version of 'Lunadelica'/'Chimney' opens a release valve for his burgeoning Goblin fixation, releasing a deadly nerve gas of analog drones on 'Lunadelica' with more than a hint of well studied, dense and absorbing MBV style swoon in the mix. The three part 'Chimney' follows with a typically enriched prog concept split into sections descending from an opening scene of climactic drums and analog textured synths into a mid section of reflective ambience, before the final part leads us inevitably down a darkened corridor of impending drone-doom. Comes on transparent emerald green vinyl and is limited as hell - one you need! Highly Recommended.